The following books are available in Spanish in Spain and Latin America. 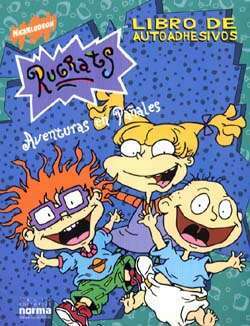 These books, published in Spain by Ediciones B, are Spanish translations of the English-language Rugrats books already available in the US. The number at right is the ISBN number. Left: Spanish-language Rugrats sticker book, published in Spain by Norma Editorial.